Ever since I combined sculpture and canvas I have been searching for artists who have done the same in the past. I couldn’t find that many. Why was I looking? I guess because I believe that it always helps to build on existing works, and learn from them. One artists I did discover was Robert Rauschenberg. He apparently made art he called “Combines” which involved a cojoining of sculpture and painting. I decided to study a bit about him. So the creation of his combines was a process of discovery. He found elements and the art lay in the process of creativity by which he put them together. He was trying to merge those 3D pieces into a 2D painting to turn them into an entirely new object. For example, dripping red paint across a quilt and then stretching it to display it or collecting trash from his travels and converting it into art. The question is, was there method to this madness? That’s what critics appear to still be wondering. At first they thought it was about the appearance, what elements were included and how they were put together. But now they’ve begun to wonder if all the Combines hold a deeper and altogether different meaning. 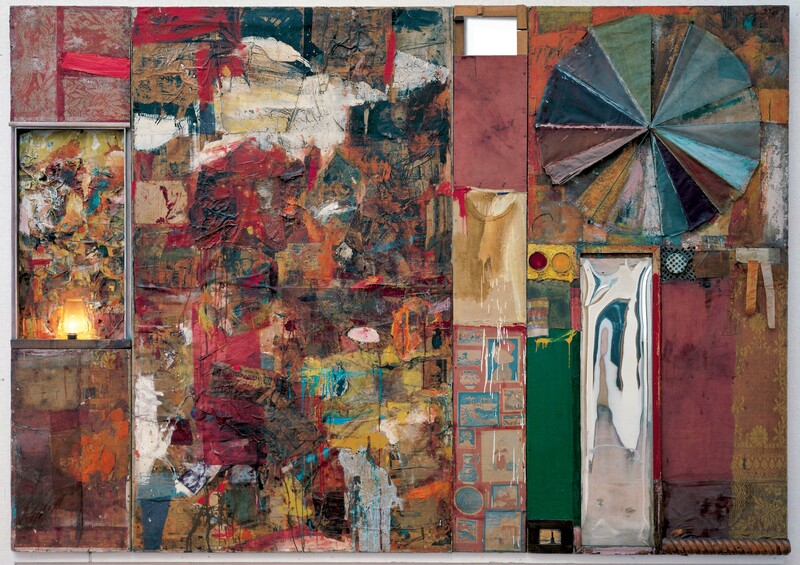 Rauschenberg essentially oscillated between two different concepts; zero art, where the line between the mundane and the artistic is blurred and art is drawn from the understanding of the audience, versus focusing solely on the role and will of the artist towards artistic creation. 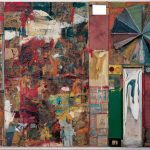 Rauschenberg was quoted as saying that he wanted to work “in the gap between art and life” suggesting he questioned the distinction between art objects and everyday objects. This was similar to Marcel Duchamp’s approach to the piece ‘Fountain’. I’m not sure yet what my own thoughts on this are in relation to my work. Do I agree, disagree? I created the Iridescent Alloys with aesthetics in mind. Moreover, I didn’t simply slap together objects to discover their meaning within a work of art, my art was preconceived and then sculpted out of clay. The sculpture was to complement the canvas. The only place where Rauschenberg and I, so far, are common is that both of us wanted to amalgamate the sculptures and the paintings to create new objects altogether. The question I am left with at the end of this short study is: What really matters more? The artists intention or the audience’s perception?